School has started. That means football season is in full swing at my house. Not only do both of my boys play, but we follow a local college team and I follow the Dallas Cowboys (yeah, I know… don’t judge). Our love of the sport creates an unbelievably crazy schedule for the next two months. By November, I’m always left exhausted and wondering WHY we do this every year. Thankfully my oldest son started “school ball” last year so it took a little pressure off of us. This year he’s a freshman in high school (OMG!! *gnashing of teeth* *pulling of hair*) so his last period is used for athletics and he stays later to finish practice. Easier on mom and dad since it eliminates the pick up and running across town to get him to practice. Now, my younger son is the only one that has to be chased down and taken to practice. Honestly – I don’t know how parents with four (or more??!) kids do it. These two run me in circles. And I’ve never been one of those moms who could drop her kid off at practice and come back two hours later. It’s that “what if” voice in my head that runs through all possible scenarios. When I’m writing, that’s helpful but when it comes to my kiddos, not so much. I see blood and guts and broken bones and a dead cell phone on my end. Makes me nauseous to even think of it. So… either I, or their dad, spend a lot of time on the sidelines. Not only does it quell my just-in-case paranoia but It allows us an opportunity to be involved in their lives and lets the kids know what they do matters to us. On the upside… all those practices make for great writing or reading time! For those of you with equally hectic schedules, how do you make time for those things that you are passionate about (reading, building model trains, making jewelry, puzzles, etc.)? Inquiring minds want to know! Leave me a comment and I’ll enter your name in a drawing for a copy of one of my ebooks (either Down to Business or Risky Business). And if the winner is friends with me on Facebook, I’ll toss in a swag pack also. The drawing will be held on Sunday, Sept. 21 – I’ll post the winner’s name in the comments. 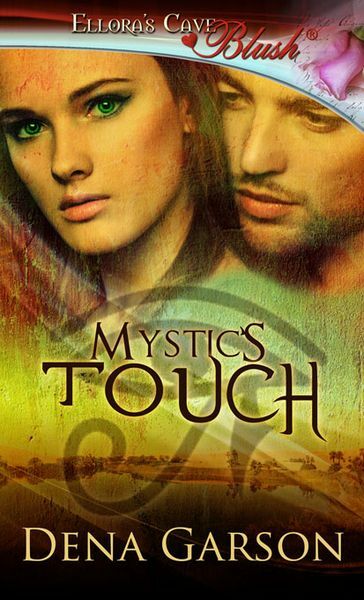 Now… here’s a quick blurb about Mystic’s Touch, my sensual fantasy that came out earlier this year. When Prince Ceros returns home to take his place on the throne, he falls prey to a mysterious malady that leaves him unable to speak or move, though his thoughts and awareness remain intact. Danet, a talented healer, realizes the prince is alert inside his body. The two are able to share thoughts telepathically. Unfortunately her connection with Ceros may bring unwanted attention to her abilities and result in her banishment from the city. Their unique bond grows as Danet races to find a remedy for the prince’s condition. Desire turns to love, which makes Danet fear for their future when he awakens. They seek out the villain attempting to take the throne and endeavor to find a way to stay together. Danet turned to look at the prince. He was a handsome man. It was a shame to see him trapped in his body this way. Don’t try to distract me, the prince said. How was I distracting you? You were thinking of touching my hair. Danet harrumphed. What was your second reason? You said you had two reasons for asking about my family but only mentioned one. Ah, yes. I was trying to figure out how your family could be so intertwined with mine, but I don’t remember meeting you before now. We were introduced once, long ago. As I have already explained, it would have been improper for me to have served you or spent any time in your company. Besides, you have been away from home for many turns of the suns. Why is it acceptable for you to be in my service now? I am no longer an innocent maid. I was married for a short time. Besides, completing my apprenticeship allows me a great deal of freedom even though I am not mated. I believe your mother is more concerned with your well-being than any sense of impropriety. Besides, there is little danger of your ravishing me while in this state. How does she know that you won’t ravish me while overseeing my care? She shot him a look that would have spoken volumes had he been able to see it. Because your mother knows me better than that. Yes. With one word, she made sure there was nothing to argue. An image flashed through her mind of her straddling his very naked body, both of them sweaty and flushed. Danet tripped over her own feet. She quickly stamped the image down, not knowing if she had conjured it or if he had. Dena Garson loves to read romance – the hotter the better. When one of her BFF’s said “one of us should be writing this stuff” she took up the challenge. If she isn’t writing, she’s making beaded jewelry and somehow still manages to make it into the office on a regular basis.